Make a difference by joining our team or giving us feedback. What happens when you call 999? Is Your Call Really An Emergency? Should I ring 999 or 111? Would You Recognise A Stroke? Are you blue light aware? Have you had your flu jab? Monday 22nd September 2014 – 6.45pm – Murray MacGregor. 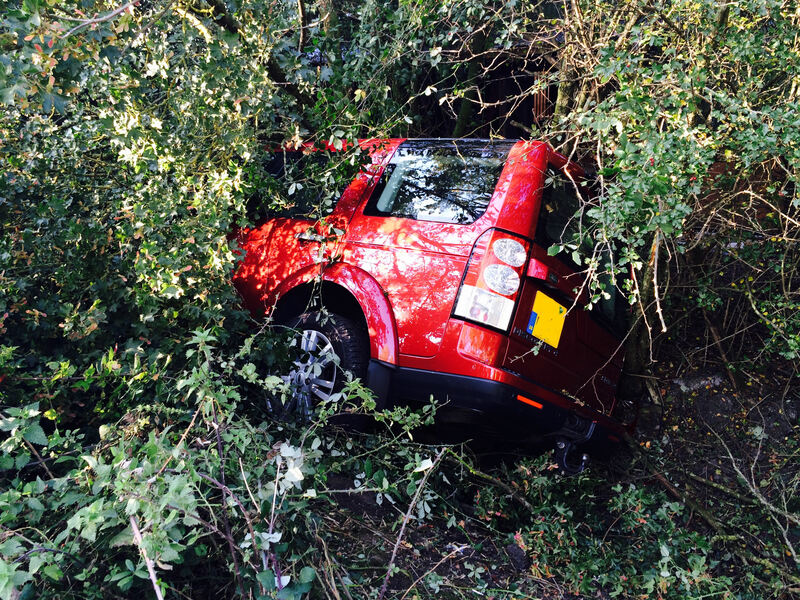 A couple in their 60s have escaped serious injury despite their vehicle ending up in undergrowth in a ditch. The crash happened on at about 4.00pm on the B4035 between Shipston and Brailles in Warwickshire. A community first responder came across the crash and stopped to offer assistance. An ambulance and a paramedic officer were also sent to the scene. A West Midlands Ambulance Service spokesman, said: “On arrival, ambulance crews were left stunned that no-one had suffered serious injuries based on where the 4×4 had ended up. It was embedded in the undergrowth around the ditch. “The man driving, had suffered nothing more serious than cuts and bruises while his wife had a bruised arm. After a full assessment, they were discharged. West Midlands Ambulance Service (WMAS) covers a geographical area of approximately 5,000 square miles and serves a population of 5.6 million people living in Shropshire, Herefordshire, Worcestershire, Coventry & Warwickshire, Staffordshire and the Birmingham & the Black Country conurbation. The Trust has a total number of 4000 members of staff and uses 864 vehicles. "Staff were outstanding in the way that they supported patients"